A ray of light to light your way in the dark. Uses a camera's LED light, to light up. Because Flash Light LED sticks to the basic functionality of lighting up using a camera's flash, it only requires the smallest memory space and no excess permissions. Home screen widget is available to light up directly from the home screen, no need to launch an app screen. There are many apps of this kind. However this app do not wastes your resources. The tiny size do not wates your storage, the restrained permission do not wastes your network traffic and your device's battery. Also the widget do not wastes your time, cause it works directly from your home screen. 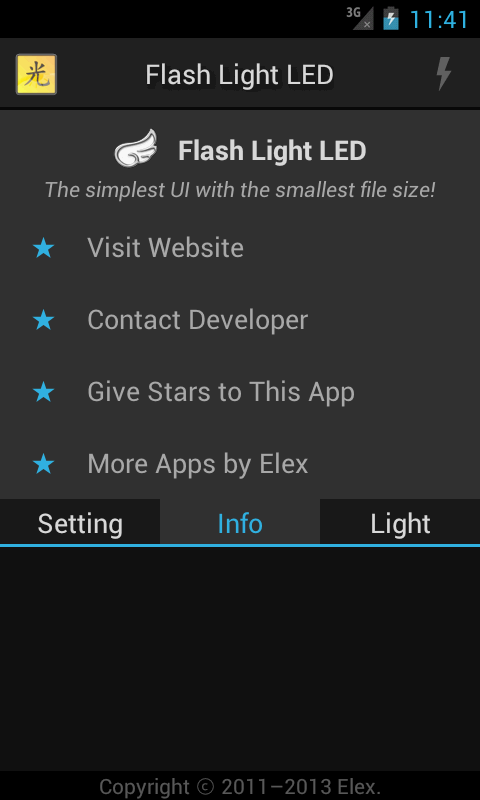 Your purpose of using this app might be lighting up in darkness. So, only one button is laid in the middle of a screen layout, that's sufficient. Other features are hidden inside the menu button. In the dark, a colorful screen only disturbs your sight. 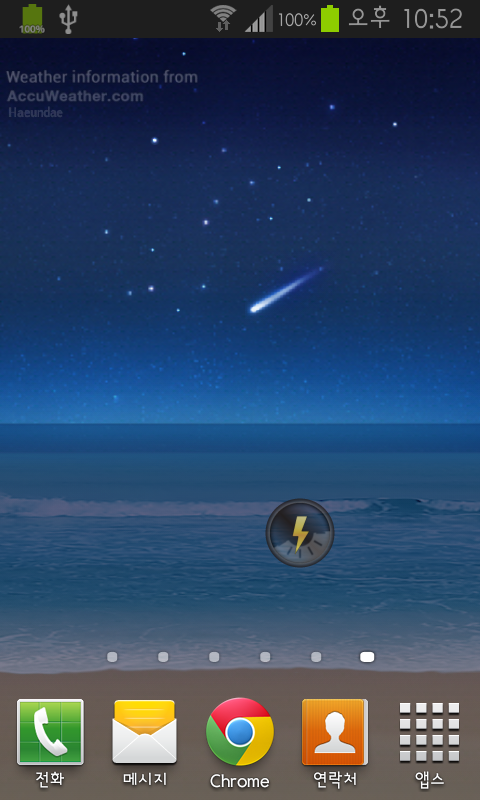 When the light is turned on, the background color of the screen goes black so that does not disturb your sight of seeing objects targeted by the light. Because you may want to see an object, not the screen. It doesn't requires much memory space to turn the light on. It only needs 243 kBytes (576 kBytes in free edition) for installation. Don't waste your memory space any more. Memory for mobile device is expensive. 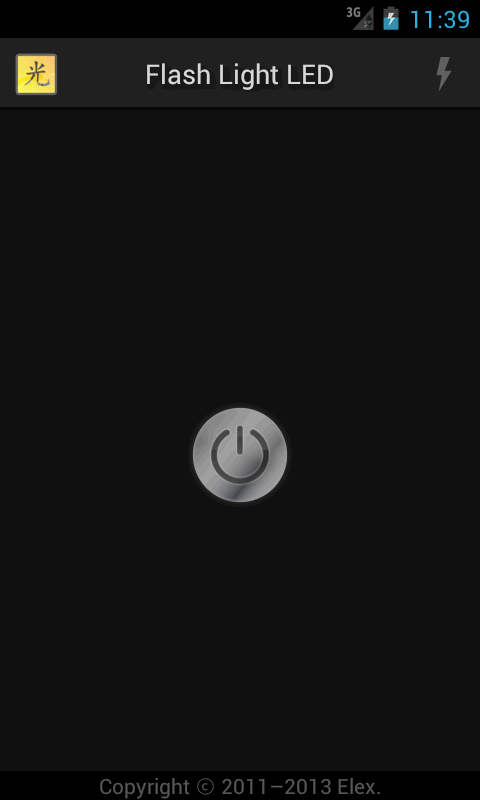 With App widget, you can turn the flash light on / off without launching app. You can turn the light on as you stayed on the home screen, without having to switch to a running screen. Distribution of this software has been stopped. 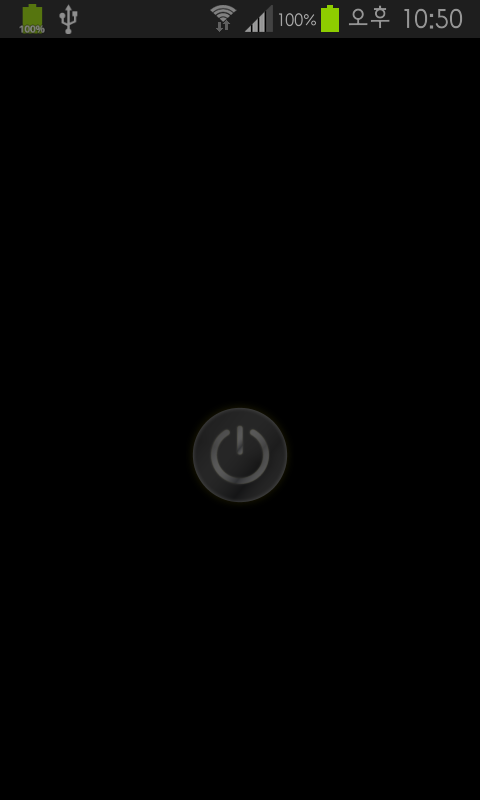 To turn the light on, click the button in the middle of the screen. To turn off, click the button again. When the light is turned on, the screen is kept on. When switching a light source, it turns off automatically. When receiving a phone call or closing the app by pressing back button, it turns off automatically. 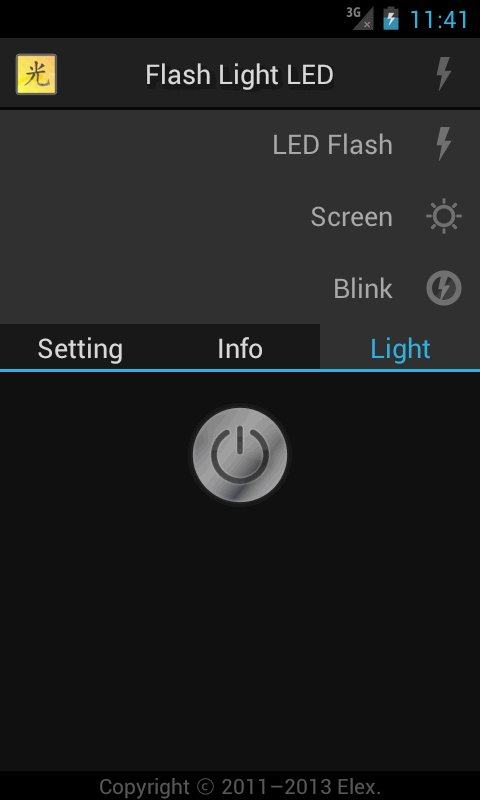 If it is unavailable to control the camera's LED, it turns the screen light on instead. Please notice that not every hardware is supported. In this case screen light is used instead. When the flash does not work properly, you can change the way the flash works from the setting menu. Before purchasing a paid version, you'd better procede a test with a free version whether the flash works or not. On Android, the camera driver couldn't be shared with another app. It means that if an app is in use of a camera resource, other apps can not use a camera.